Jos. A. Bank: Save Extra 40% Off Clearance Items + FREE Shipping! Now for a limited time, you can save an extra 40% off clearance items at Jos. A Bank! They have prices reflecting the sale price so there’s no math involved. 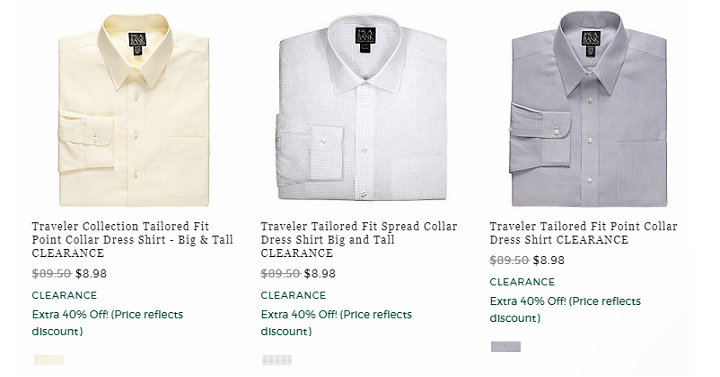 Shop for some dress shirts, suits, shoes and more. Please note that sizes and colors are limited so make sure you shop sooner than later if you’re looking for something specific! Shipping is FREE when you spend $50 or more. Or, sign up for their rewards program to snag FREE shipping.